We usualy have the F1 show once a week, but for Mexico GP we have it every night! Today they interviewed Checo and Alonso. Alonso said his motivation lever right now is 2, but after Abu Dahbi will be 11. He also talked about his three runner-up driver's championships for Ferrari and how in Ferrari being second is not enough because they always want to win. 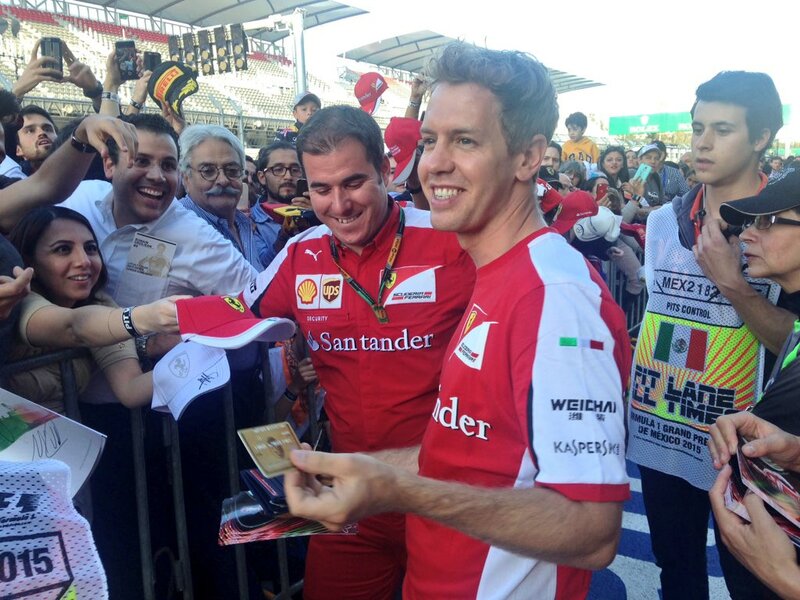 And that he is surprised by how Ferrari now celebrates for arriving third (meaning Vettel's podiums). Someone jelous? Maranello, 27 October – Racing for the first time on a new track is always an exciting experience for a driver, but in the case of Scuderia Ferrari’s third driver, Esteban Gutierrez, Mexico represents something special. “This is my country, I was born here and I love this place,” he tells ferrari.com. “I’m very proud of being Mexican and of the fact my country is hosting such an important event, part of a sport which is also my passion. For me this is the best possible combination. The circuit is very technical and I’ve been driving it on the simulator, because as usual with a new track, that’s essential in order to understand how best to tackle it over the weekend. “The three sectors are very different from each other but very technical at the same time. It means drivers who work out the best line will be the first to set quick lap times. I don’t expect it to be very hot, so even getting the tyres up to temperature will not be easy. Only once the cars are out on track will we understand how suited is our car to these various characteristics. As usual, track conditions will improve bit by bit as the cars do more running which will see the lap times gradually come down. It will also be interesting to see how the drivers adapt to this circuit, because they will want to do so as quickly as possible”. Maranello, 28 October – This is definitely a very busy weekend for Esteban Gutierrez, Scuderia Ferrari’s third driver. “Having a home race is a great feeling,” the Mexican admitted to ferrari.com. “I don’t really know what to expect, but I am sure it will be incredible. Being the third driver means I get to take part in this amazing event with a different perspective, experiencing it from behind the scenes. It’s an honour to host the world of Formula One in our country and I’m curious to see what Mexicans will feel about this very special weekend. A unique aspect of this track compared to all the others is its altitude: everyone thinks about the effects this can have on the cars, but let’s not underestimate its physical impact on the drivers and the team members. As for the car, you can partly assess these conditions in the simulator, while the guys will need to be well prepared physically so they can adapt quickly to the different ambient conditions”. I've never seen Kimi playing football. Miezi had a twitter chat with this guy. "It’s nice to come to a new place, I had been here before but not to Mexico City. I haven’t seen a lot apart from the hotel and the track, but so far everything looks nice and perfect, they have done a very good job here. I’m sure there will be a lot of fans, it is going to be a nice weekend. It will be challenging and unknown for everybody, since it’s a new place and we are at high altitude. This will influence a lot of things, the behavior of the car and of the engine in the first place. Let’s see how it is once we get running, and hopefully we’ll find out that it will be fine for us." Wow, it's so weird to see Kimi playing football, it's something I really thought I will never see. Could this mean he will now play in Monaco too? Kvyat and Rosberg showing off their Spanish in the interviews, Hulkenberg have been studying some and trying to speak a bit. Maximum speed in the speed trap 362 kms./h WOW! 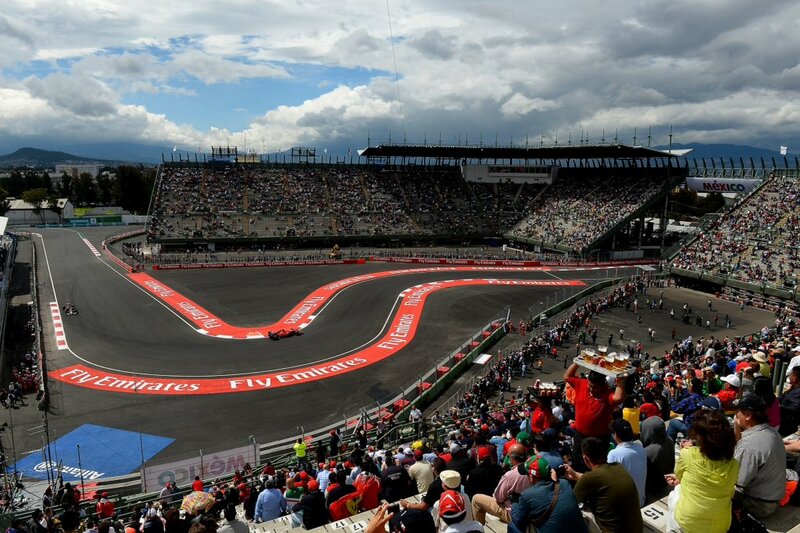 Mexico City, 30 October – Formula 1 action officially returned to the Autodromo Hermanos Rodriguez with the first free practice session. The new track surface was still damp from early morning rain, which made life difficult for the drivers, who started running on the Intermediate tyres, before switching to the Mediums. The entire field reported low grip conditions, with lap times a long way off those predicted by the simulator. Quickest was Max Verstappen (1.25.990) in the Toro Rosso, ahead of the Red Bull of Daniil Kvyat (1.26.295.) Raikkonen (1.26.295) and Vettel (1.26.886) were third and fourth respectively for Ferrari, working on adapting to the new track and some aero comparison tests. Ferrari Tweet: "Shall I sign it or take it?" Missed second session but it seemed a bit intermitent because of rain. Kimi Raikkonen: “It was quite a tricky day, the layout of the track is ok but the new surface was very slippery. The cars were sliding around and sometimes you felt more like being in rallying than in Formula One! The tires are a bit on the conservative side but it’s the same for everybody. We knew since the beginning that because of the altitude and the thin air, the speeds would have been high, I think everybody was running full downforce; but I would prefer to have the usual amount of downforce. Obviously, as we do more and more laps, track conditions will improve and the surface will grip out, but I’m sure it will still be more tricky than other races. In the second session during the long run it was raining a bit and I didn’t want to risk anything, so I took it easy every time there were drops coming down. Tomorrow we still have time to work on the car for a better set up and see how it goes. We’ll try to make the best out of it."